Your oven problem can hard to identify and fix on your own, but the Appliance Handyman team has serviced oven repairs in the GTA for over 10 years. Our staff are trained and experienced, which means we will be able to recognize the cause of your issue and fix it for you the first time. We can offer you help over the phone or come see your oven in-home. We are so confident that we can find the right solution for you that we will waive the fee with any repair. If you are having problems with your over we encourage you to call us. We offer FREE consultations over the phone OR send us a message with a picture so that we can best troubleshoot your oven inquiry. Thank you for choosing Appliance Handyman. You do not want to be paying for damage if your repair technician does a less than perfect job. It is imperative to hire trained technicians from an insured company to make sure that this does not happen. We cover all damages and faults, and we offer a follow-up service just to be sure. We never compromise the quality of parts used, and we ensure quality service with a 100% money back guarantee. Our technicians are trained to deal with every oven brand on the market and have years of repair knowledge and expertise. Appliance Handyman has been in the industry for over 10 years, and you can rest assured that we will do our utmost to solve your problem quickly and efficiently. Many other appliance repair services try to dishonor their customers with additional or hidden charges on the job. Appliance Handyman guarantees 100% transparency from the moment you first call us. We will never charge you above the originally quoted price without an official reason, and we ensure complete satisfaction with our highly competitive rates. If the job is not done right then quick service means nothing. In addition to speedy response times, our staff are trained to solve virtually any problem that your appliances might have. Your oven appliance repair is our number one priority, which is why we respond, diagnose and repair issues accurately in record time. In addition to our competitive rates, quick service, and quality repairs we also provide our clients with a full warranty on all oven repairs. We keep in touch with our customers to ensure that your oven is running smoothly again. In order to ensure 100% customer satisfaction, we even offer complimentary follow-up repairs should any problems arise. As we respect the homes of our customers, so we guarantee no mess post repair. Our teams take the time to leave your home and appliance surroundings in the exact same condition that we found them in, to prevent you from having to do any unwanted cleanup. Appliance Handyman has been providing quality appliance repairs in the GTA for over 10 years. 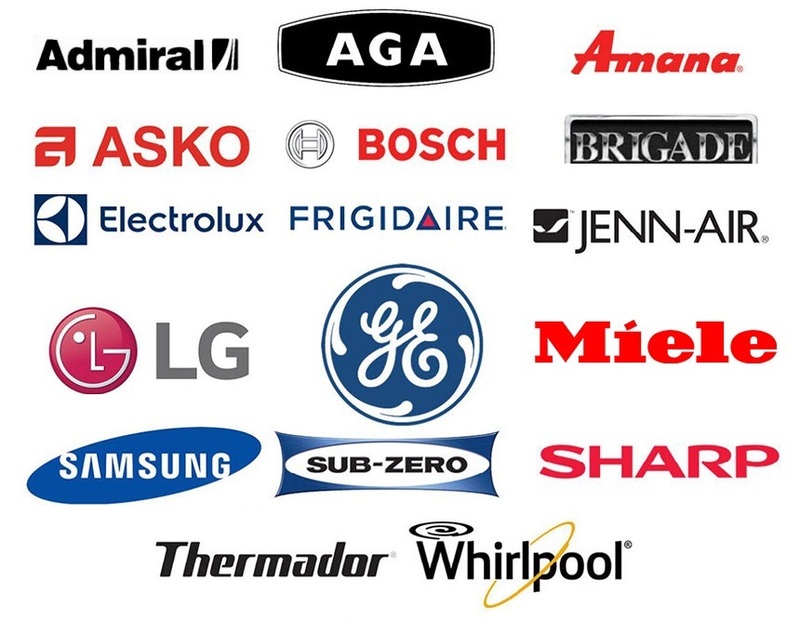 We service and repair all major appliance brands such as: GE, Miele, KitchenAid, Samsung, LG, Viking, Maytag, Frigidaire, Whirlpool, Bosch and more. Our staff are trained professionals that will efficiently diagnose your problem, fix it for you, and follow up for complimentary repairs should further problems arise. We offer same-day service call availability and some of the most competitive rates on the market. Appliance Handyman is your number one choice for repairs on all makes and models of appliances such as ovens, washers, dryers, refrigerators, dishwashers and more. We’re always more than happy to answer any questions you may have about your appliances, our company and how we operate so call us today! Please feel free to contact us today for a free estimate. For oven repairs and appliance repairs in the GTA, call Appliance Handyman. We service the following areas including; Toronto, North York, Etobicoke, Scarborough, Concord, Thornhill, Vaughan, Richmond Hill, Markham, Maple, Woodbridge, King City, Aurora, Newmarket, Stouffville, Innisfil, Bradford, Barrie, Milton, Brampton, Mississauga, Oakville, Pickering, Ajax & more.